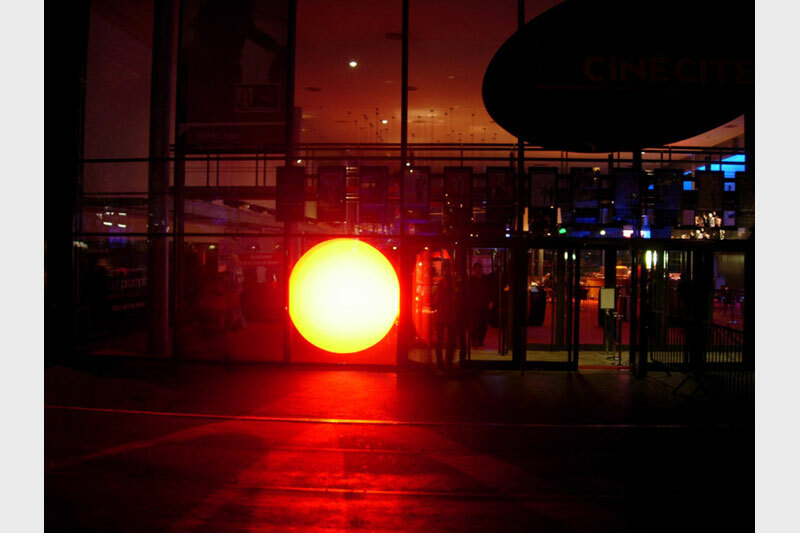 In the surrounding darkness of night, on the square, crossing through the transparent architecture of the cinema, an intense red luminous disk appears from the ground. The sun is rising: a large red patch of glowing fire. 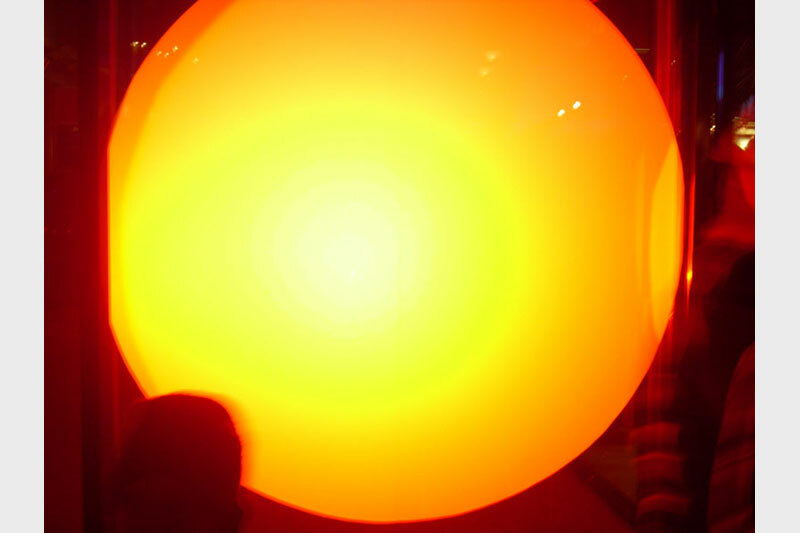 A few minutes later, the disk has become orange without losing its luminosity; it continues to glimmer. 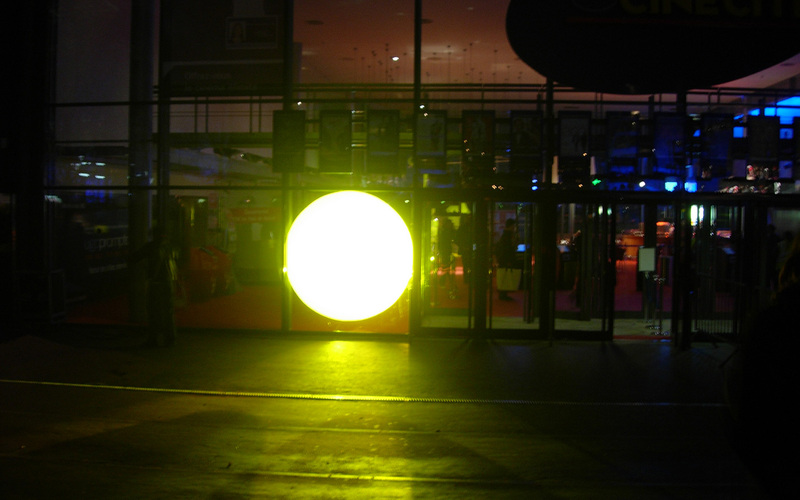 With no apparent movement, it freezes into intense yellow: sunlight yellow. 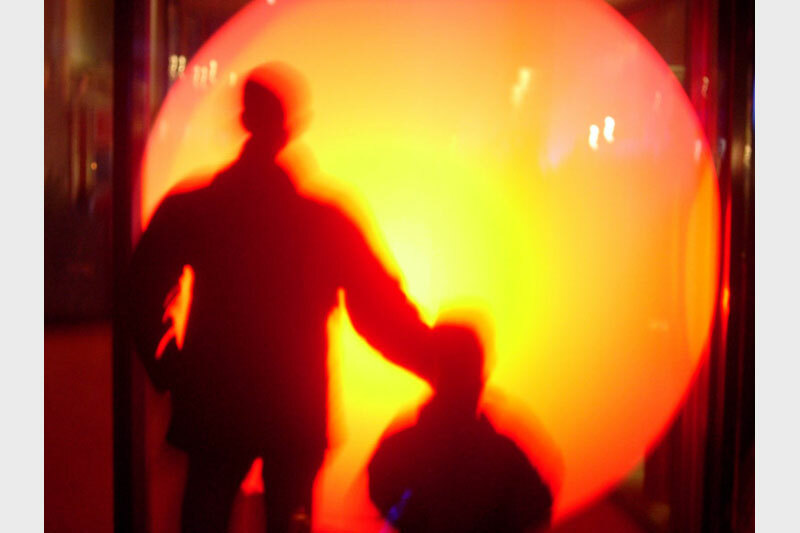 Then the sun’s cycle is reversed: the circle of light becomes orange again, then red, and is finally extinguished. 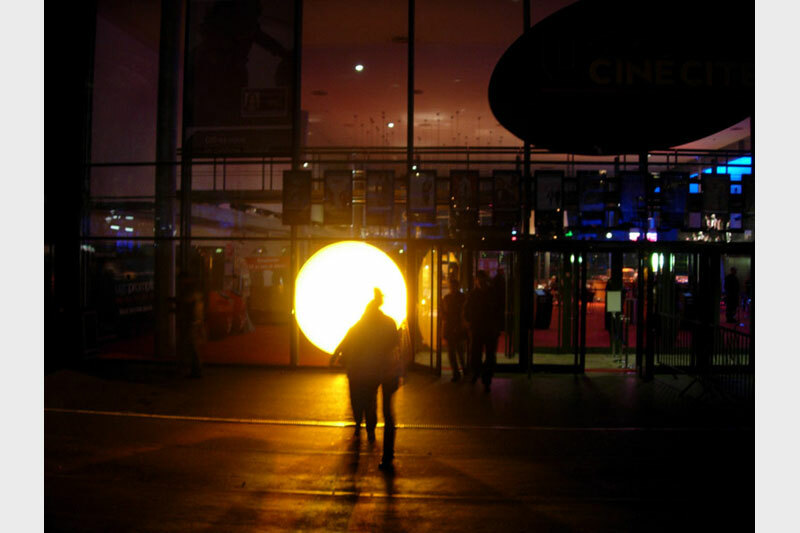 In continuous night, the sun reappears flaming red turning into orange and then yellow, endlessly repeating its cycle. 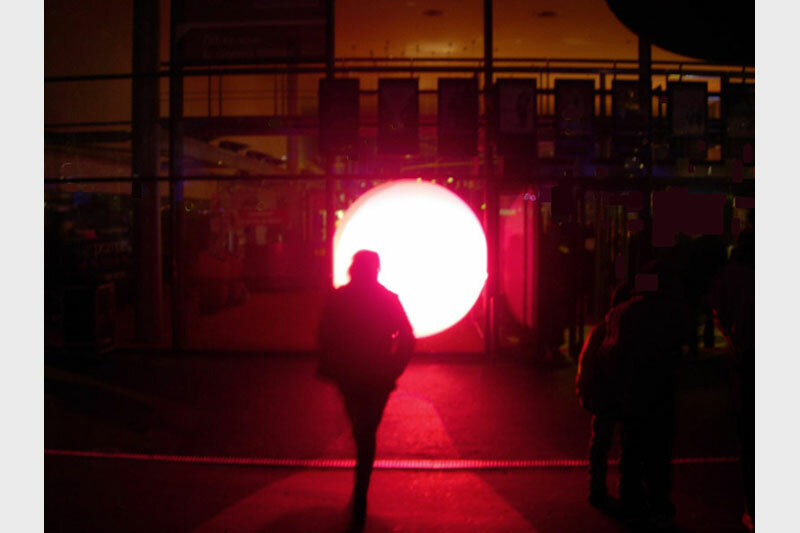 A virtual sun for a real night. Mac 2000 light projectors, lighting console, programming system, frosted film.